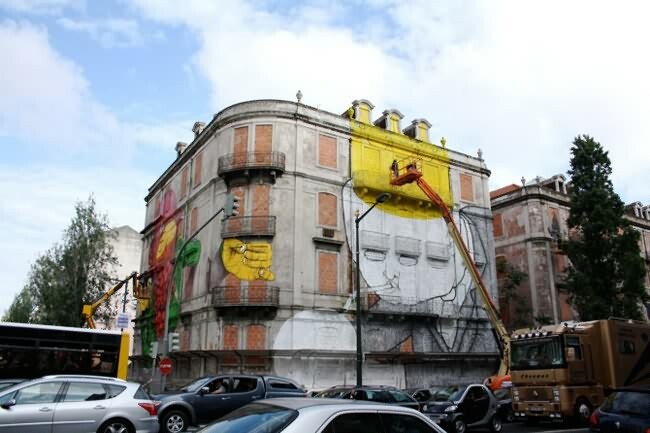 Since most of you may already have seen around, the G�meos, Blu and SAM3 facades are over and this is the right time to get them back. 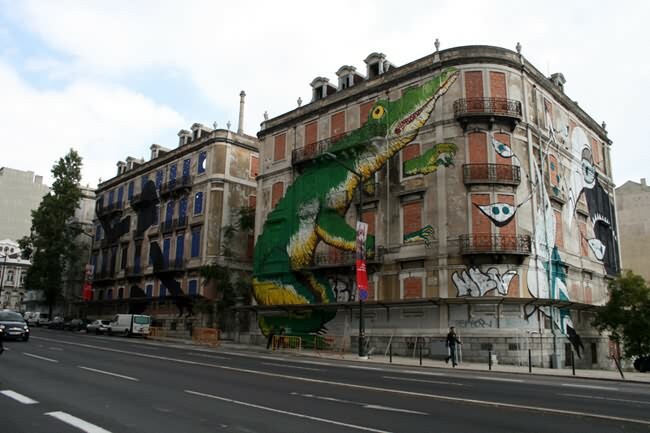 In Lisbon there are many places where you can find old abandoned buildings with bricked windows. 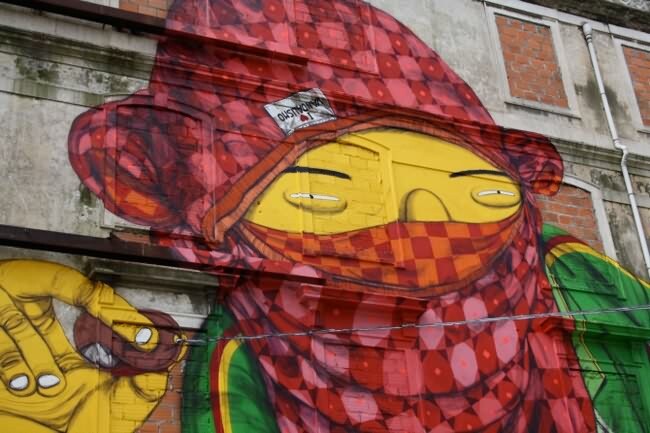 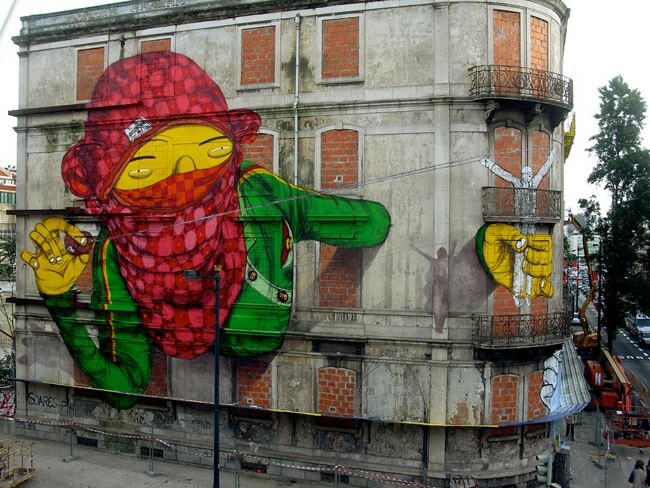 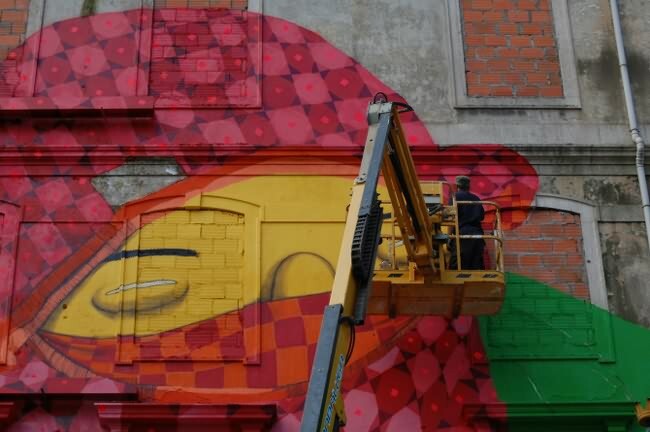 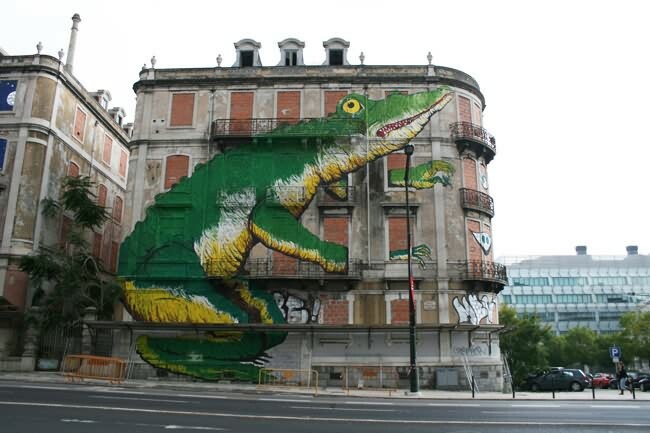 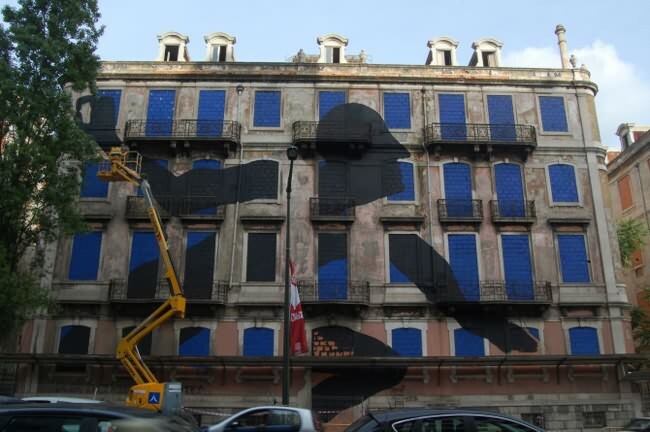 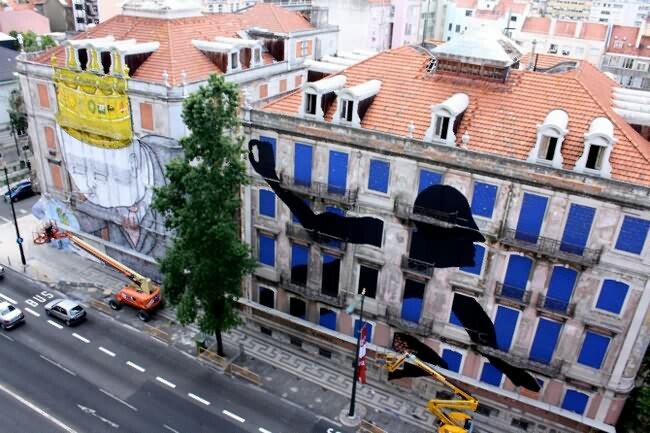 Crono is a Portugese Urban Art project with the intention of pairing some of the best street artists with huge, beautiful (abandoned) buildings in Lisbon. 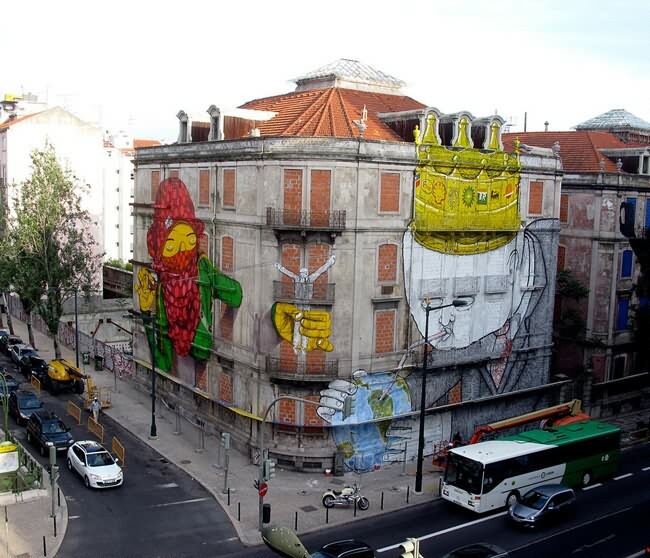 It is really impressive when you pass by it on the bussy street. 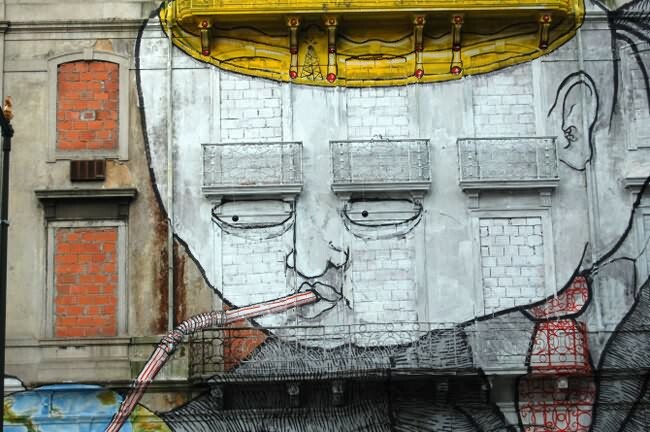 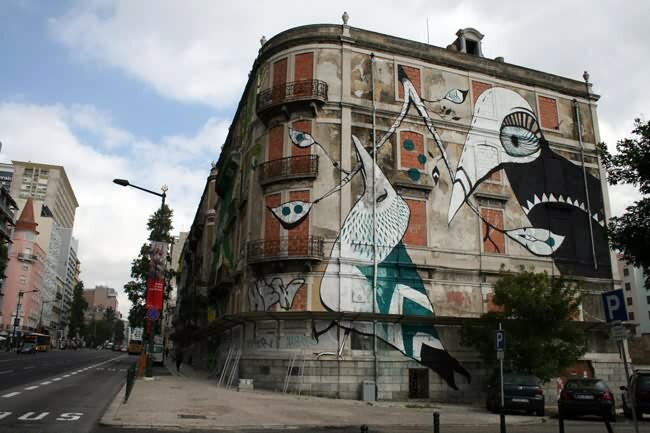 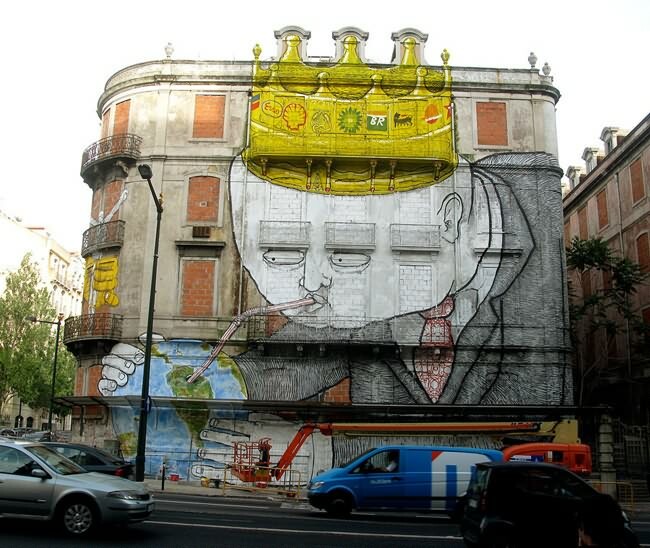 This street art is located near the metro exit of Picoas, where you can walk to from the Marqu�s de Pombal square.